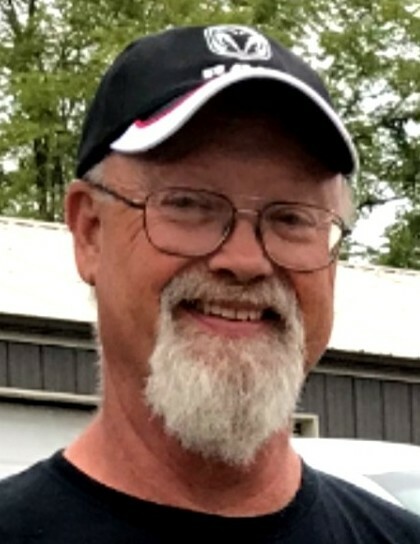 Darel Lynn Fike, age 59, of Pretty Lake, died unexpectedly on Friday, March 15, 2019 at his residence. Darel was born in Auburn, Indiana on August 29, 1959 to the late Earl Riley Fike and Blanche Rose (Barlow) Fike. He married Cindy Lea Weimer on November 11, 1978 at the courthouse in Albion. He was employed for many years as a delivery driver for Culligan in Kendallville. Over the past ten years has operated his own handyman service. Wife, Cindy Fike of Pretty Lake. Son, Josh and Andrea Fike of West Otter Lake near Angola. Daughter, Jamie and John Kitzmiller of Fort Wayne. Two grandchildren, Carrington Kitzmiller and Aria Fike. Mother-in-law, Gloria Weimer of Kendallville. Sister, Arlene and Rick Parr of Angola. Sister, Rose Gill of Metz, Indiana. Brother, Cecil and Bonnie Fike of Butler. Brother, Harry and Nancy Fike of Hogback Lake near Angola. Brother, Dallas Fike of Angola. He was an uncle to many nieces and nephews. He was preceded in death by his father-in-law, Donald Weimer. Visitation will be held Tuesday, March 19, 2019 from 4:00 – 8:00 PM at Hite Funeral Home in Kendallville. Funeral services will be held Wednesday, March 20, 2019 at 11:00 AM at Hite Funeral Home with Elder Jared Smart officiating.